Throughout our commercial service area, Globe Petroleum delivers reliable and budget-friendly fuel services to our many commercial customers. Throughout our many years in the commercial fuel business, we have remained extremely proud of all of the partnerships we have formed with businesses. Here is a summary of all that we can do for you. Retail branding. We offer gas station branding with Citgo and Shell. On the water? Globe offers the the Valvtect marine fuels brand. We support our brand offerings with strong marketing strategies to maximize the potential for your location. Read more. Fleet/Onsite Fuels. Fleet fueling is a way for customers to save on labor, maintenance and other ongoing expenditures. It’s ideal for companies that don’t or can’t have fuel tanks on their own property. We’ll deliver fuel into your running fuel tanks when your vehicles are off duty, so they’re ready to go when you need them. Read more. Emergency Fuels. We provide 24/7 generator fueling, on-site fueling and dedicated fuel trucks to companies and government agencies during emergencies–including severe weather conditions, hurricanes, tornadoes, floods and other disasters. Read more. Marine Fuels. Globe is a certified, branded ValvTect marine-fuel distributor. We supply ValvTect Marine diesel and Valvtech marine gasoline, which are specially formulated for your marine engine. Read more. Bulk Deliveries. Our commercial customers rely on us for timely, affordable bulk deliveries of premium fuel. Globe Petroleum will work with your company’s fuel purchaser to schedule deliveries based on your current and future needs. Read more. Equipment Sales/Loan program. Looking for onsite fueling storage and equipment? Need a loaner tank or to purchase fuel tanks? Globe Petroleum can provide it all, including dispensing equipment. Read more. In addition to all of the above, Globe Petroleum is also well equipped and fully trained to handle Diesel Exhaust Fluid (DEF) and to deliver it safely to your business site. Our DEF on-site refueling has been designed to save you time and money. We make safe deliveries in totes, cases and drums. 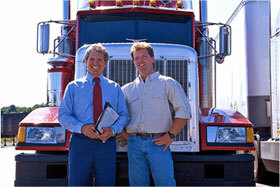 To determine how much DEF you will need, we will work with you to determine how much diesel fuel you consume. Here’s a measuring stick: For every 50 gallons of diesel fuel used, you will require one gallon of DEF. Interested in becoming a commercial customer or setting up an automatic payment account? Get started with these forms.